Denote: Denote, as a verb, denote means explicitly defining a word according to its literal meaning. The denotative meaning of a word is the dictionary defined definition of a word. Connote: Connote, in contrast to denote, as a verb, means a definition of a word that results as a combination of the denotative, or dictionary definition of the word, plus the implicitly suggested meaning of a word. An abridged dictionary: A dictionary that is condensed and shortened; therefore, an abridged dictionary does not contain all the words in a particular language. Guide words in a dictionary: Guide words are found on the top of all pages in a dictionary and these guide words indicate the first word and the last word on each page of the dictionary. Denote, as a s a verb, denote means explicitly defining a word according to its literal meaning. The denotative meaning of a word is the dictionary defined definition of a word. Connote, in contrast to denote, as a verb, means a definition of a word that results as a combination of the denotative, or dictionary definition of the word, plus the implicitly suggested meaning of a word. The implicitly suggested connotative meaning of a word is best understood by the person who is aware of the cultural and emotional associations and symbolism that the word has and the person is also aware of the connotative meaning of a word by looking at, and defining, the word as it occurs in context. Some words have negative connotations and other words have positive connotations. For example, the following words with their denotative, dictionary definitions and the connotative definitions of the same words so you can see the impact of culture, emotional symbolism and context on the correct meaning of a word with a connotative meaning. 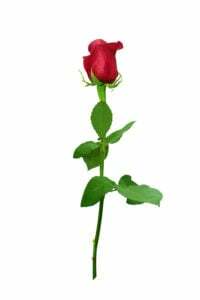 The denotation of this example is a red rose with a green stem. The connotation is that it is a symbol of passion and love - this is what the rose represents. A dictionary is an alphabetized list of words and their definitions. Dictionaries contain denotative meanings of words and not the connotative meaning of words. Every language around the globe, including the English language, has an alphabetized dictionary of words in that language. There are a wide variety of types of dictionaries. Some include pictures and other graphics, and others do not contain any pictures or graphics. Some are intended for one particular age group and others are for all people regardless of age. For example, a picture dictionary is typically used by young children before they have some mastery of the English language and reading. Some of these dictionaries have rather narrow and specialized interest words like a sports dictionary and a Civil War dictionary, and others such as The Merriam Webster Dictionary and a children's picture dictionary, are rather broad in terms of the target audience. Defining dictionary, like the Oxford Dictionary, which defines words and gives the denotative meaning of words. Bilingual dictionaries that contain English words and their foreign word equivalents. For example, there are French/English dictionaries and Spanish/English dictionaries. Audible dictionaries for those affected with impaired vision. Although the above dictionaries are used to both look up the definitions of words and also to find out the correct spelling of words, it is far easier to look up the definition of a word when you know the correct spelling of the word that you are looking up. When a dictionary is used to determine the correct spelling of a word you have to use trial and error until you are able to locate that word and its correct spelling because, as you know, a dictionary is alphabetized. Dictionaries have what are referred to as guide words. Guide words are found on the top of all pages in a dictionary, such as the Oxford English Dictionary and the Merriam Webster Dictionary. These guide words indicate the first word and the last word on each page of the dictionary. For example, you should expect to see the word "definition" on the page of the dictionary that has the guide words "defend " and "differ" at the top of the page because the word "definition", alphabetically, falls between the words "defend " and "differ". Guide words, as you should know, facilitate a more rapid finding of words in a dictionary. Another feature of a dictionary, in addition to definitions and the correct spellings of words, dictionaries contain the part of speech that a word is. Knowing the part of speech that a particular word is facilitates one's accurate usage of the word in written and oral passages according to the rules of grammar, as applied to formal writing and formal speech.